We had a really good time with some good Japanese Teppanyaki that however does not qualify as ‘the best I have ever had’ – A Japanese Restaurant in Delhi that has a live Teppanyaki counter, a sushi bar & more with very warm & interactive chefs who create good food from scratch right in front of u. 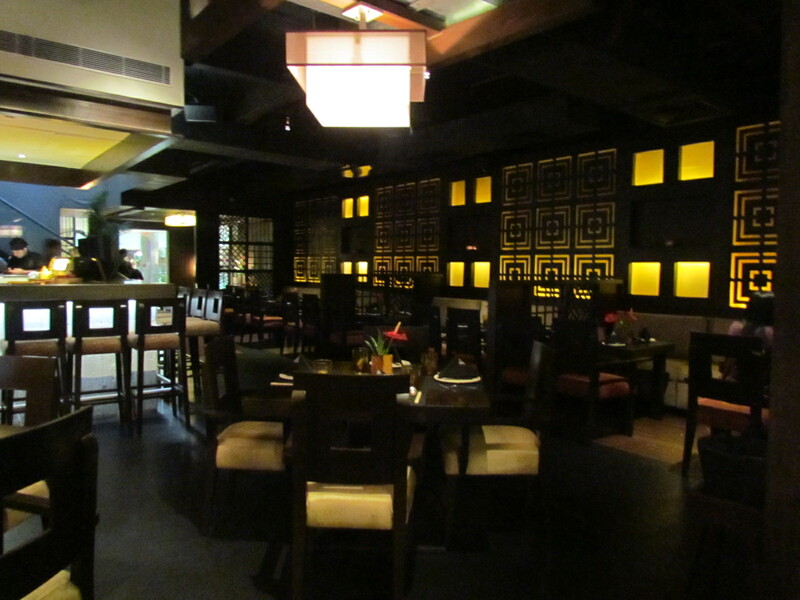 Situated in Ambience Mall VasantKunj, this restaurant serves Japanese & other oriental cuisines. They also have a ‘Kylin Express’in the same Mall – at the food court. The Restaurant is very tastefully made. As u enter, u realize that the Restaurant has a dim Lighting with individual lights near tables. Amidst this dim lighting, on the right hand side is a glass box that is illuminated & hence it totally stands out –different types of visually appealing sushis displayed in it. A little further, there is the bar area & then is the restaurant area. 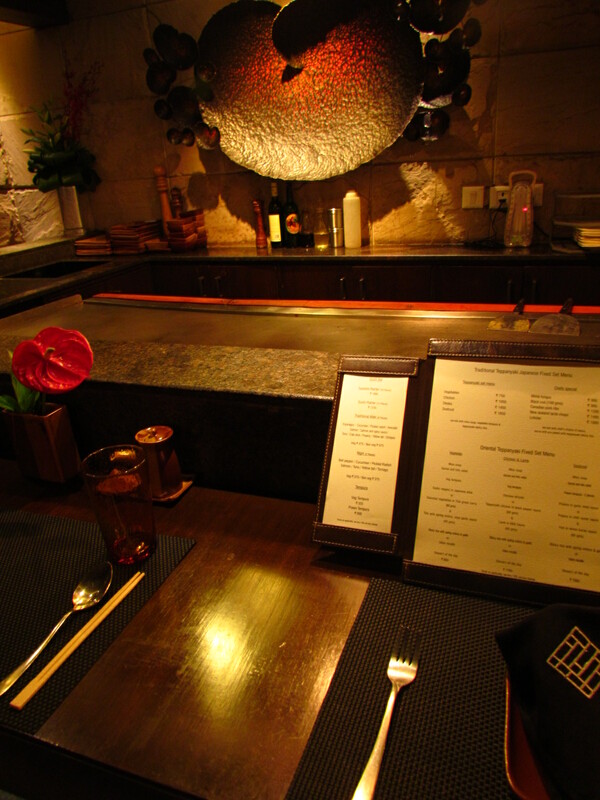 Beyond the Restaurant area is the area that appeals to me most in a Japanese Restaurant – Teppanyaki counter (Japanese live grill). The people in the Restaurant were very warm. 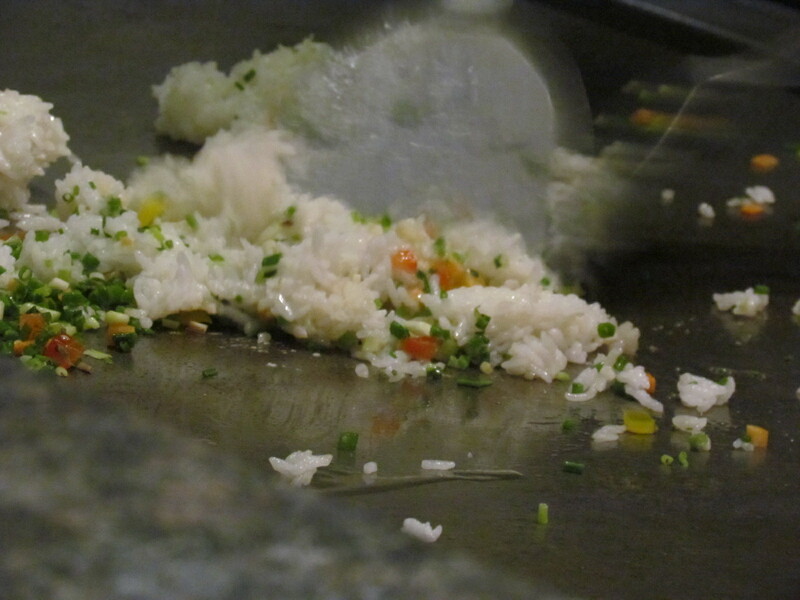 I indulged in a little chat with two of the Teppanyaki Chefs. They are Indians but they have worked in Japanese 5 star Restaurants with Famous Japanese Chefs. The constant interaction with the chef as he was making our Dinner right in front of us – it was very interesting & enjoyable. For the choice of food we stuck to the Japanese section & avoided the obvious non-Japanese hits like prawn butter garlic etc. 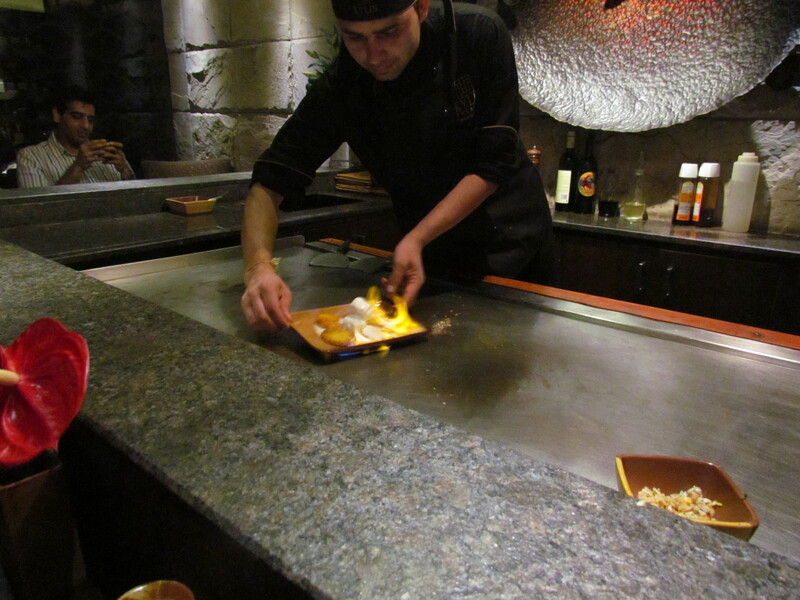 We went for two Teppanyaki dishes – one recommended by the Chef as ‘must not miss in Kylin’ – Prawn & the other of our choice – Soy Salmon. New Zealand Lamb Chops & Pork Ribs also feature in ‘Chef’s recommendation’ according to the menu card – But we cud not manage to taste those due to sheer lack of space in our stomach pouches. As I have mentioned above, the food was very enjoyable though not the best TeppanyakiI have ever had. 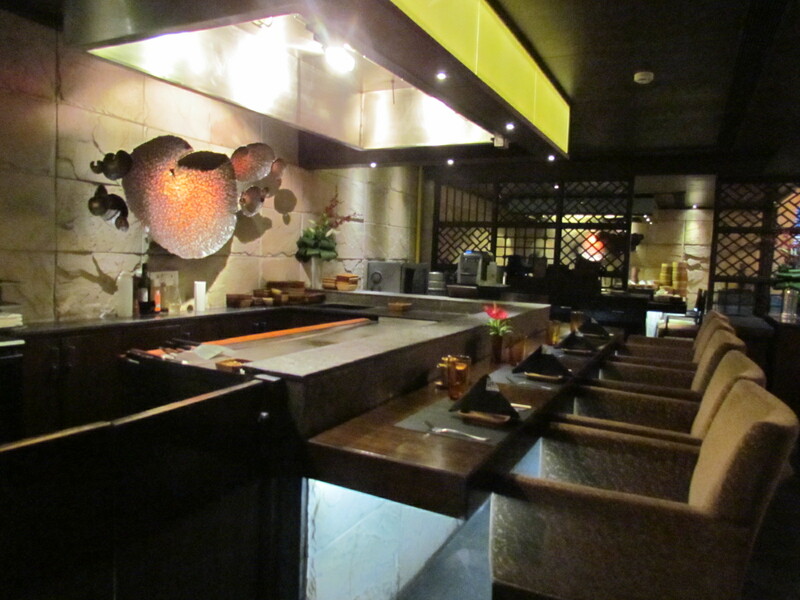 This however has been one of the best Teppanyaki I have had in Delhi so far. 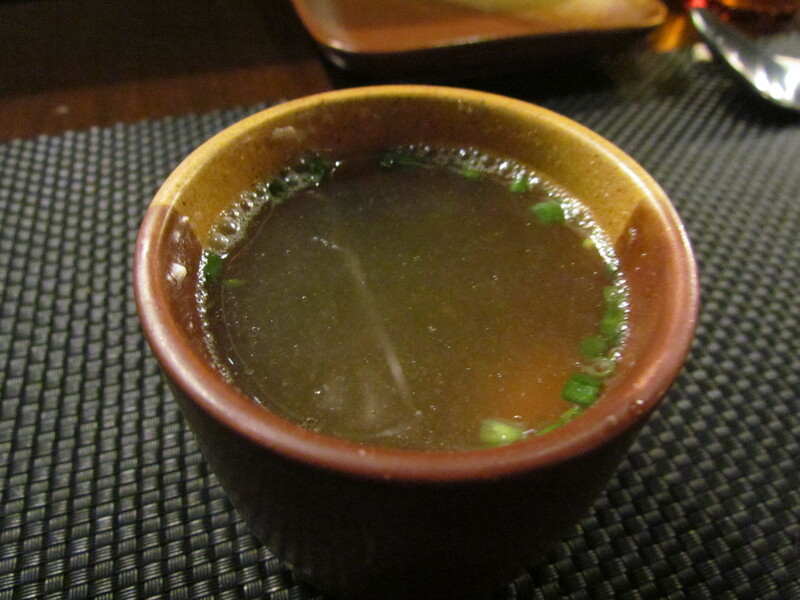 As we sat for the dinner, we were served miso soup. It had soft ‘melt in the mouth’ tofu & seaweed. The flavors were very good, so was the taste & overall it was quite refreshing. The miso soup at Sakura was however few notches better than this. 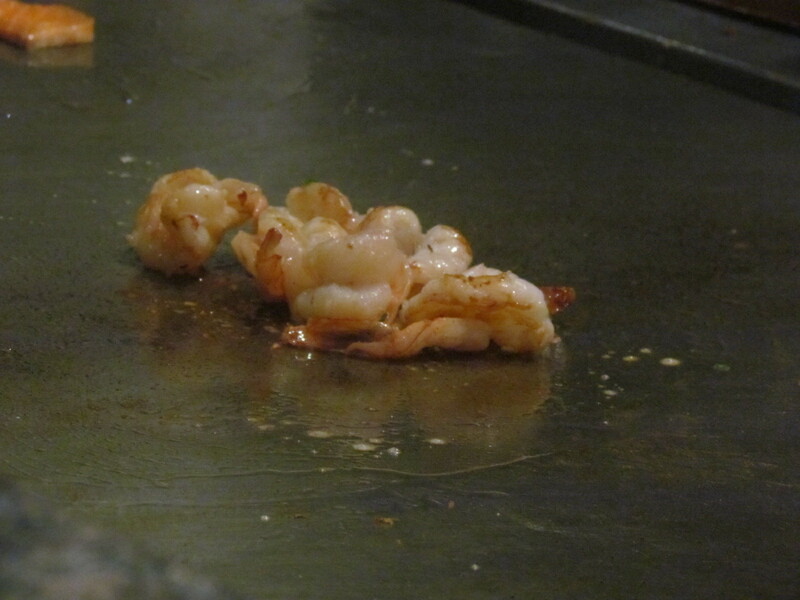 We started the dinner with Teppanyaki grilled Tiger prawns with Japanese Yuzu miso sauce. This was served with a serving of Japanese fried rice. 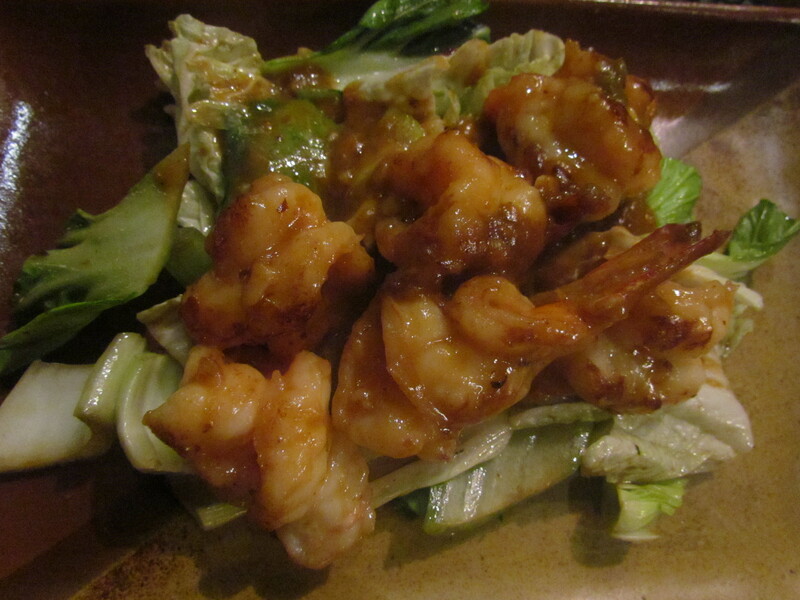 The Grilled Tiger prawns were very soft & juicy instead of being kept on the teppan for quite some time – not as juicy as the one I recently had in Cityplaza Taikooshing Hongkong. The Yuzu miso sauce was good as well…………………overall good but short of great. 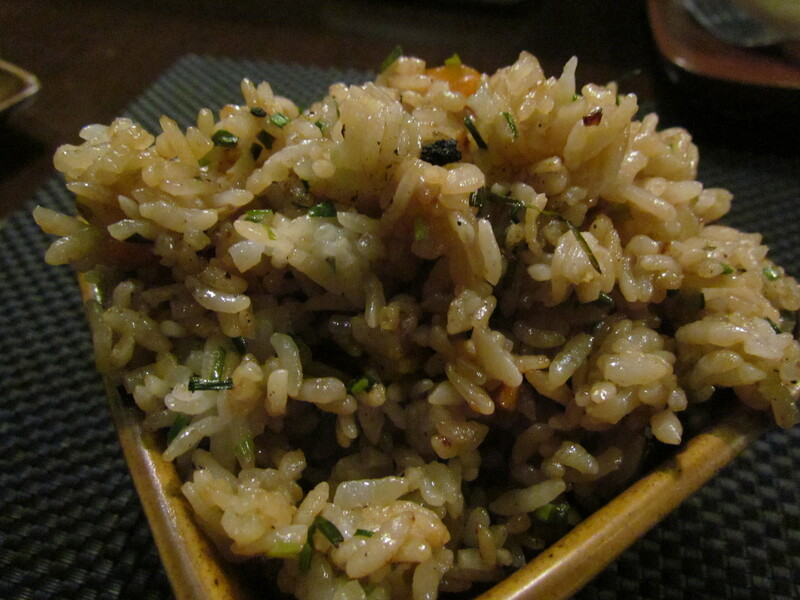 The fried rice was excellent. This was sticky, flavorful, very tasty & slightly burnt at the edges – just too good. Then we had Norwegian Salmon with soya mirin sauce served on a bed of stir fried green onions. The salmon pieces which we got were from towards the tail area of the fish. So they were thinner & less meatier as compared to the mid part.The taste of salmon & the sauce was too good. The slightly charred ends added to the flavor. 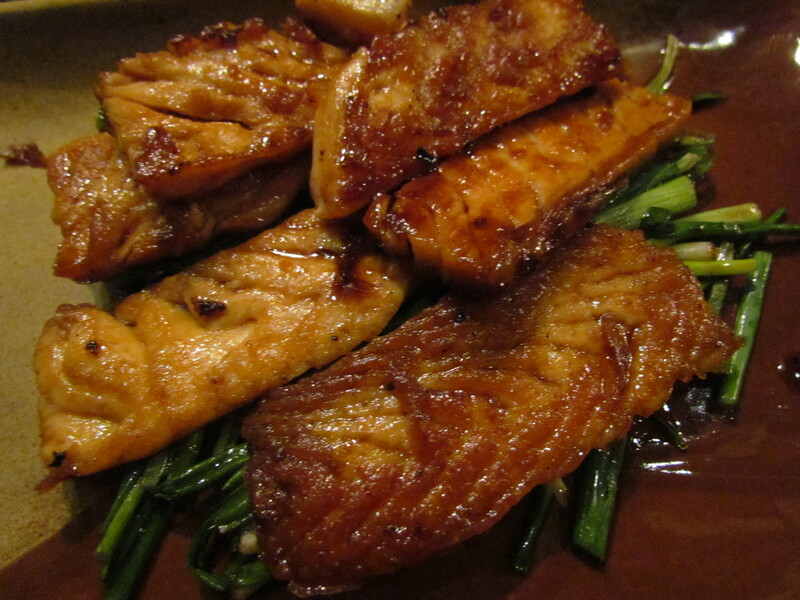 However, the texture was an issue – the salmon was too dry, not juicy, not soft, not flaky. Cooking techniques? – I guess yes. 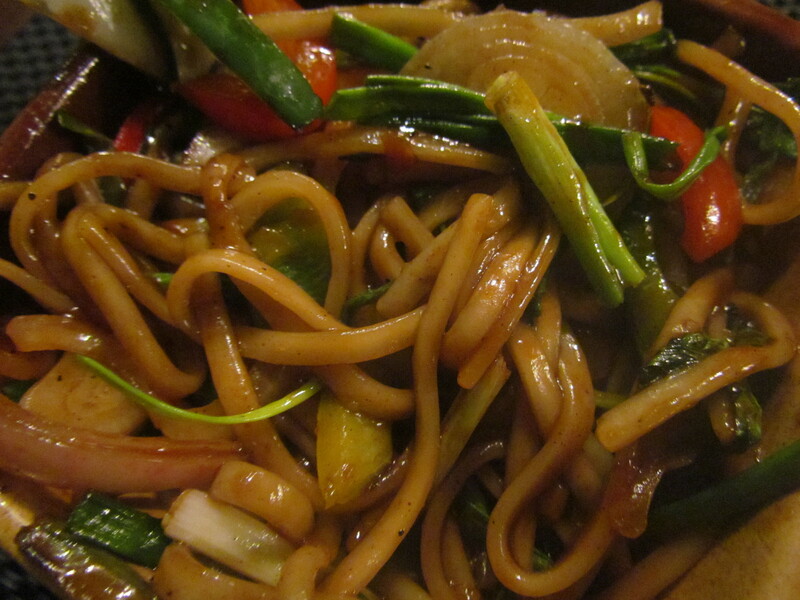 The noodles that was served was sweet & sour. Good to taste but I like the fried rice much better. The Dessert was very very interesting. 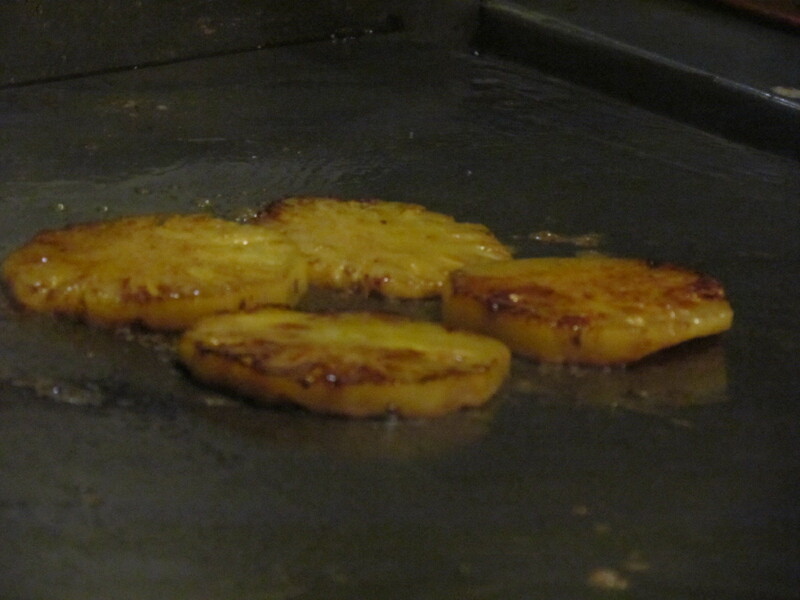 We tried flambé ice cream with caramelized pineapple. 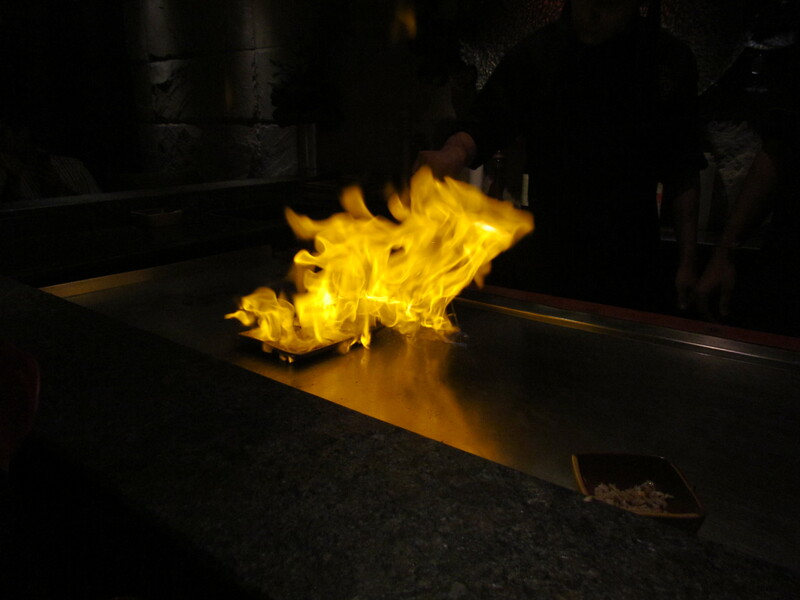 The pineapple was caramelized on the teppan , laid out on a plate, dollops of ice cream put on the top, a peg of alcohol poured on the top & the whole thing set on fire……….. yes, the flames were almost 20 cm high. The taste was very good but I wud not recommend it to kids or elderly / anyone else who might not be used to the taste of burnt alcohol. 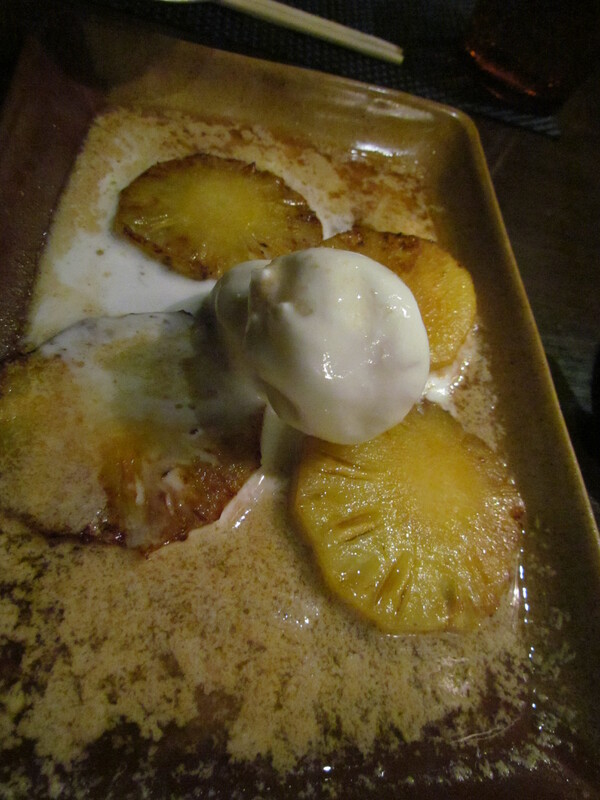 The sourness of the pineapple, sweetness of the caramelization, creaminess of the ice cream & the slight bitter aftertaste of the alcohol – was quite an interesting combination of tastes & flavors. Overall – I might go back for Sushis, Sashimis or Ramen at a later date. 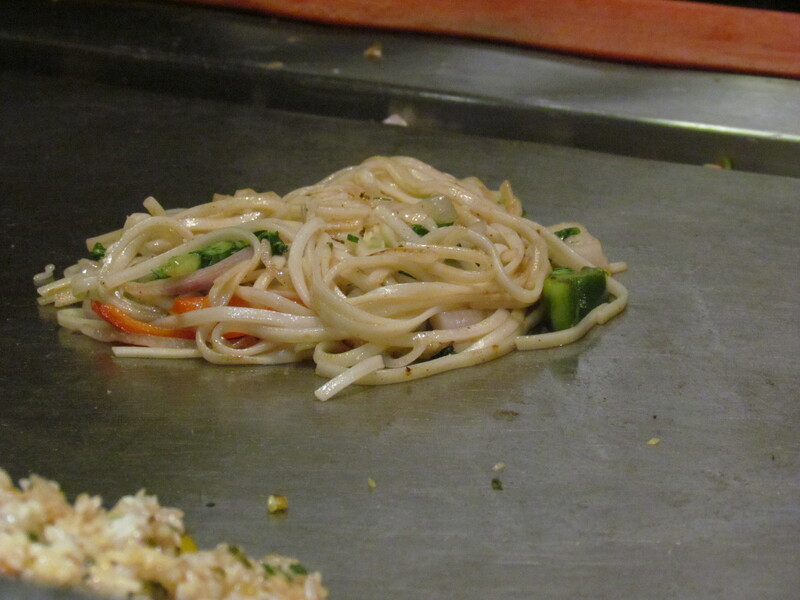 Unlikely to try the teppanyaki again just coz I get to have better elsewhere. If I were not to be travelling frequently to Far East Asian Countries, I might have thought of revisiting Kylinfor the Teppanyaki.